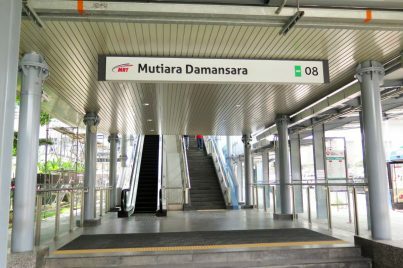 Mutiara Damansara MRT Station is an MRT station serving the suburb of Mutiara Damansara in Selangor. 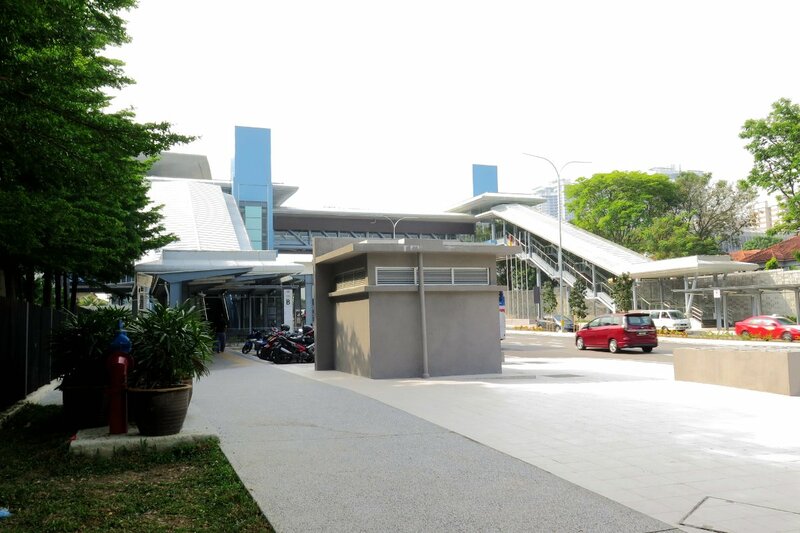 It is one of the stations on the KVMRT Sungai Buloh – Kajang Line. 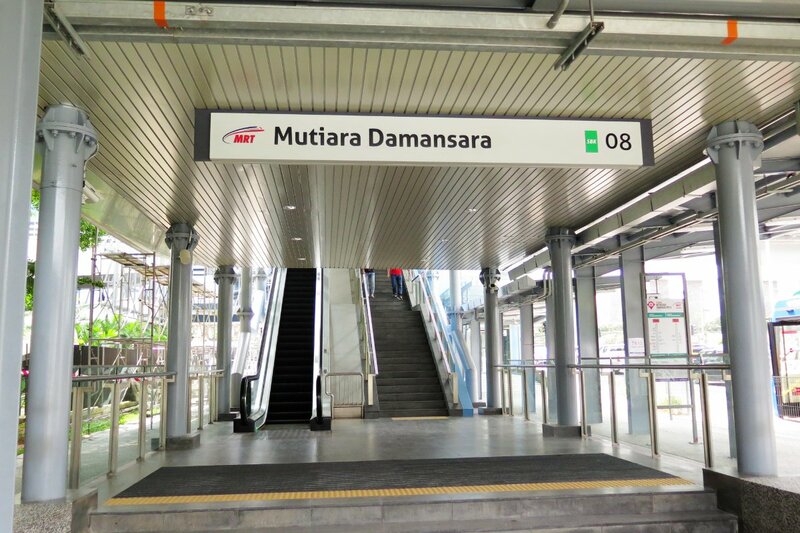 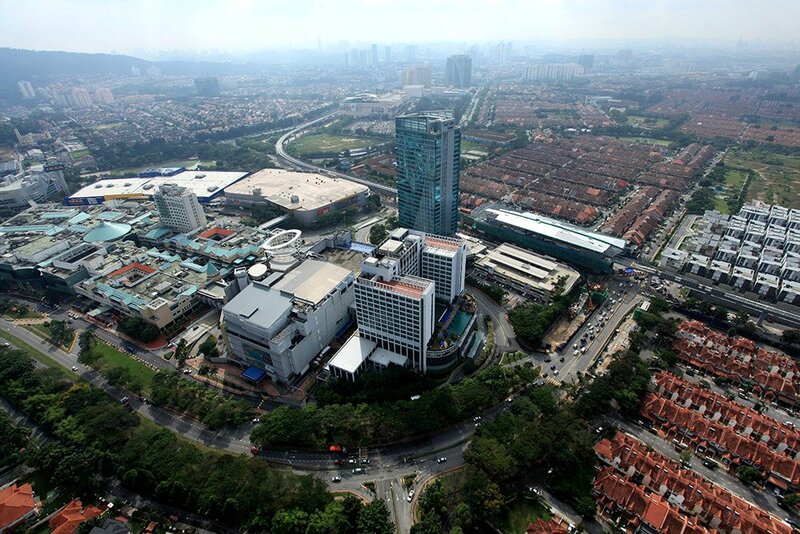 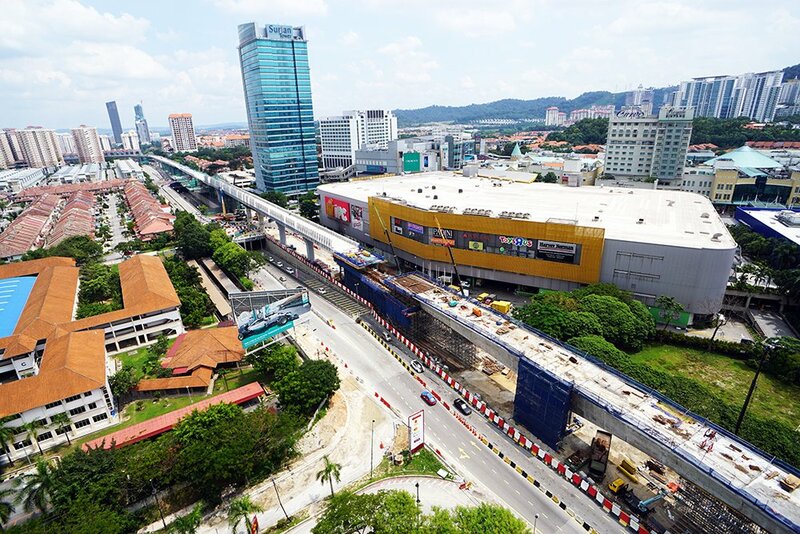 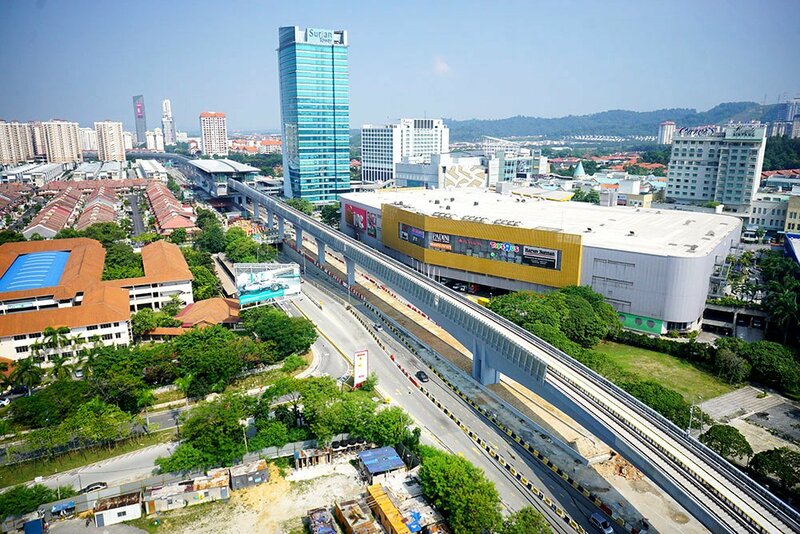 The station is located near The Curve shopping center and IKEA Mutiara Damansara. 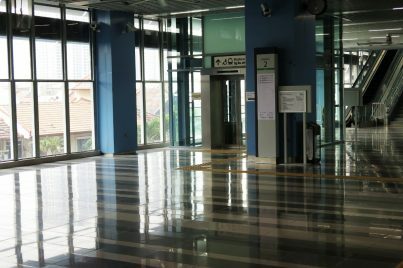 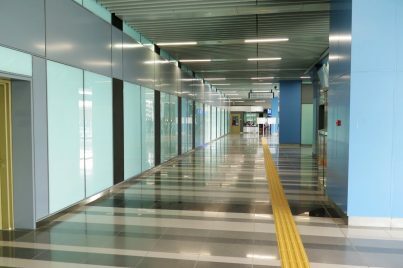 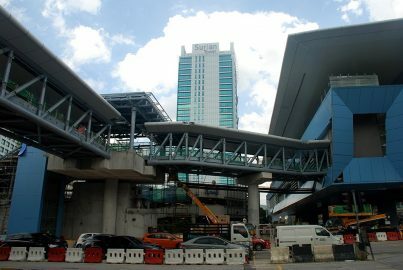 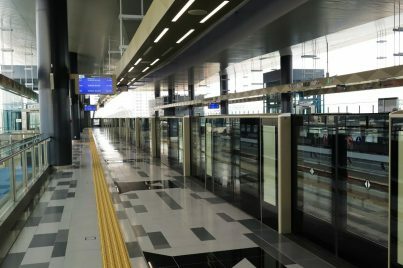 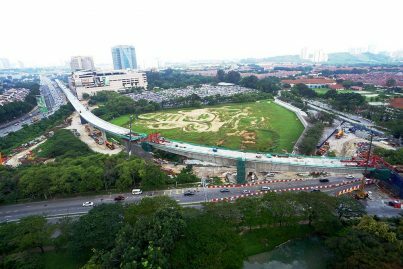 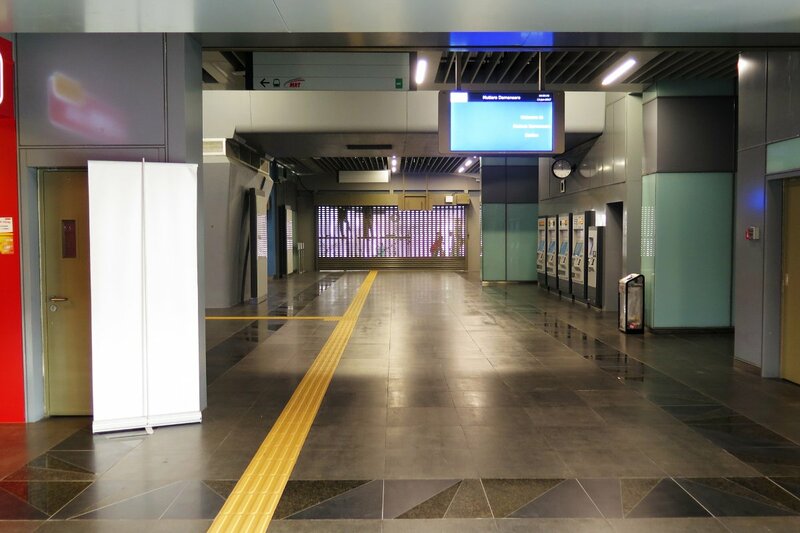 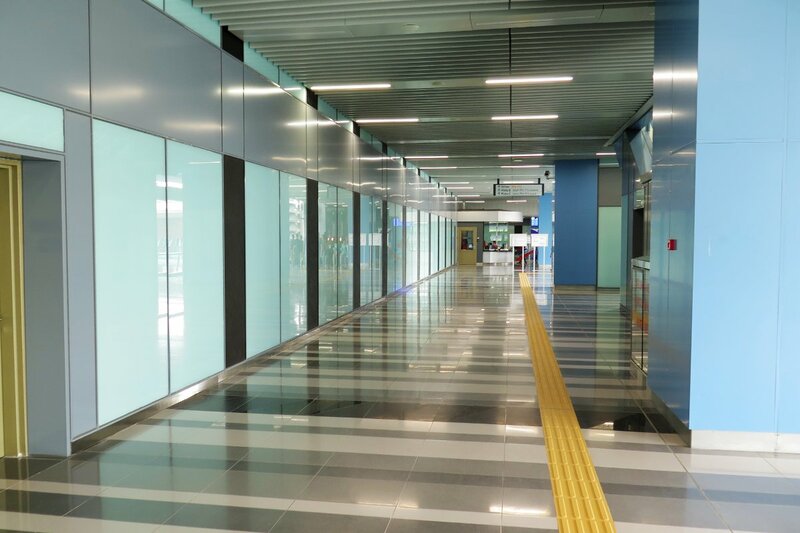 On 14 January 2017, the linkway to Surian Tower is completed to provide direct access from the station to Surian Tower, which in turn is linked to other commercial buildings such as The Curve, IPC Shopping Complex, and The Royale Chulan Damansara Hotel. 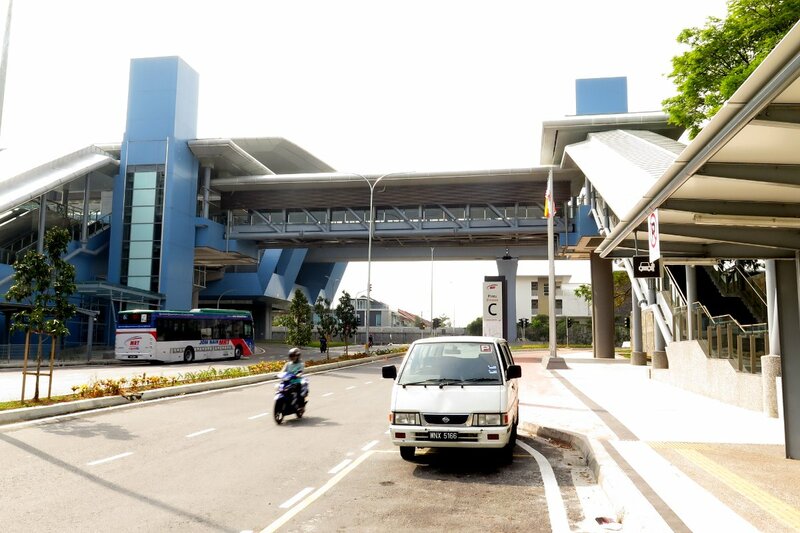 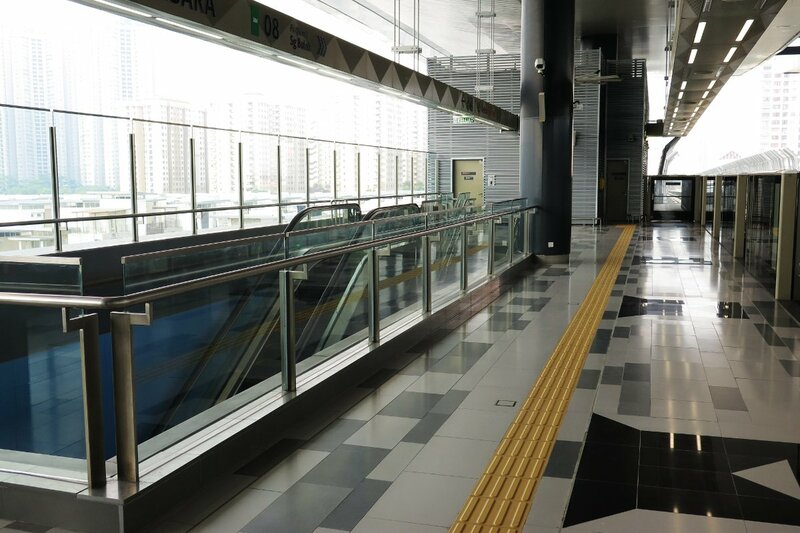 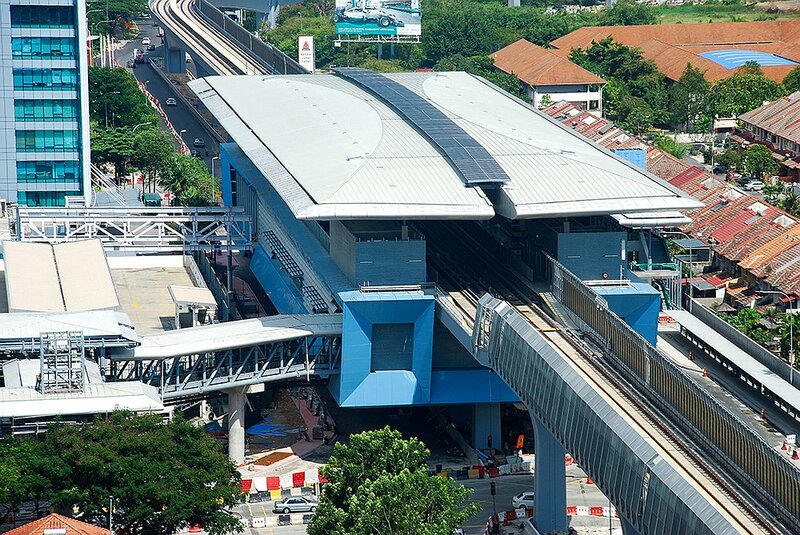 The station adopts the standard elevated station design for the MRT Sungai Buloh-Kajang Line, with two side platforms above the concourse level. 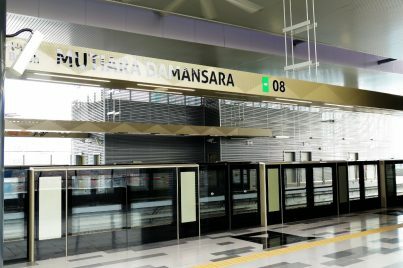 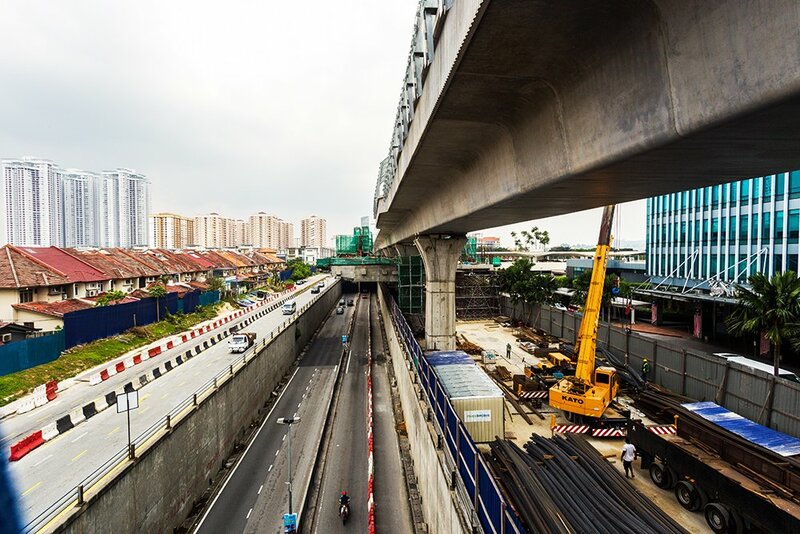 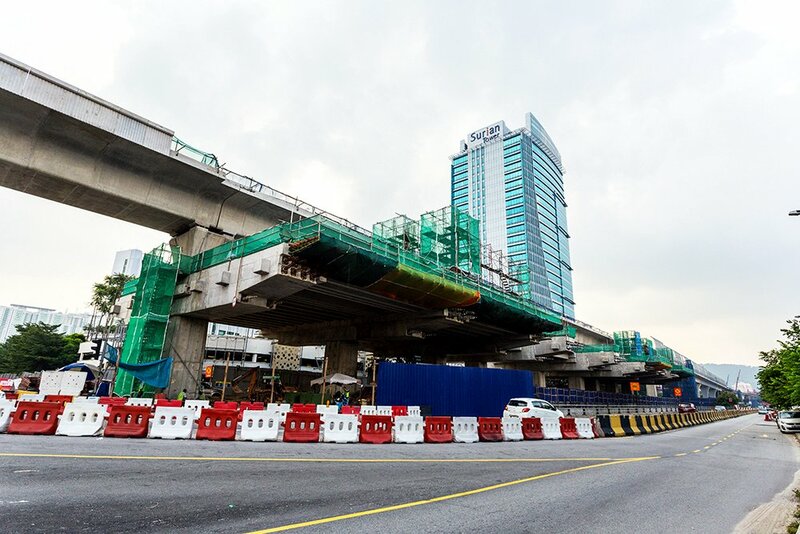 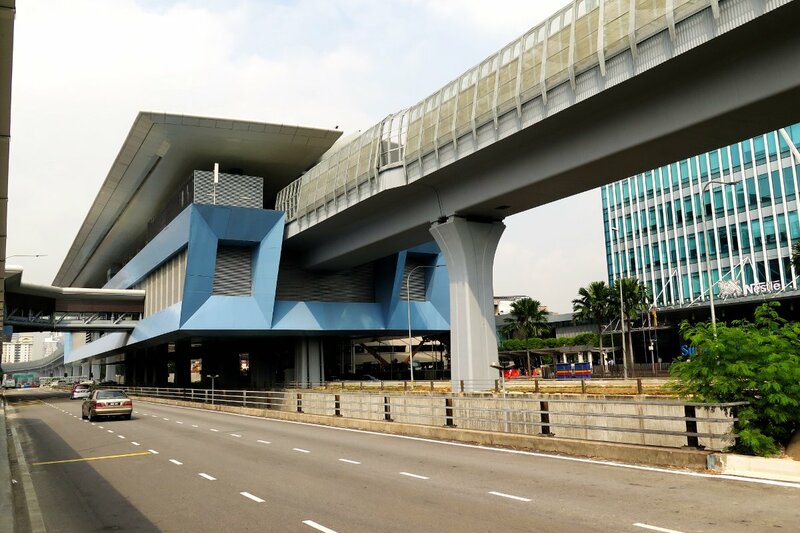 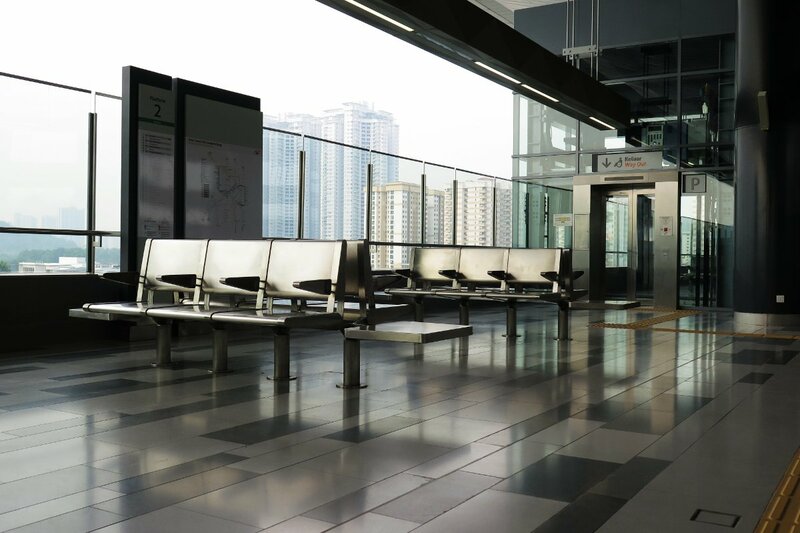 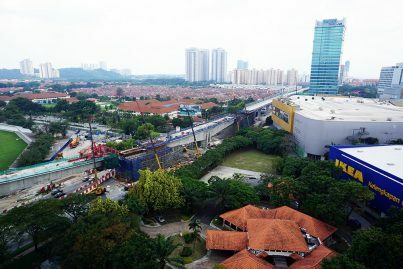 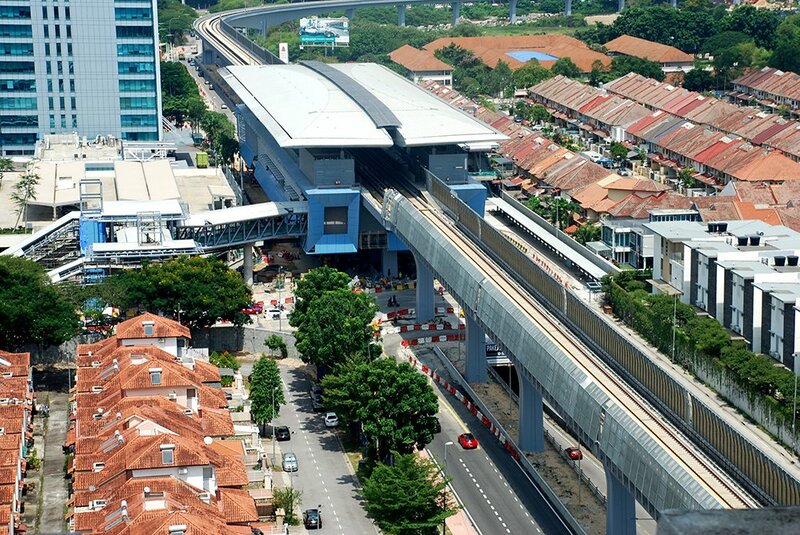 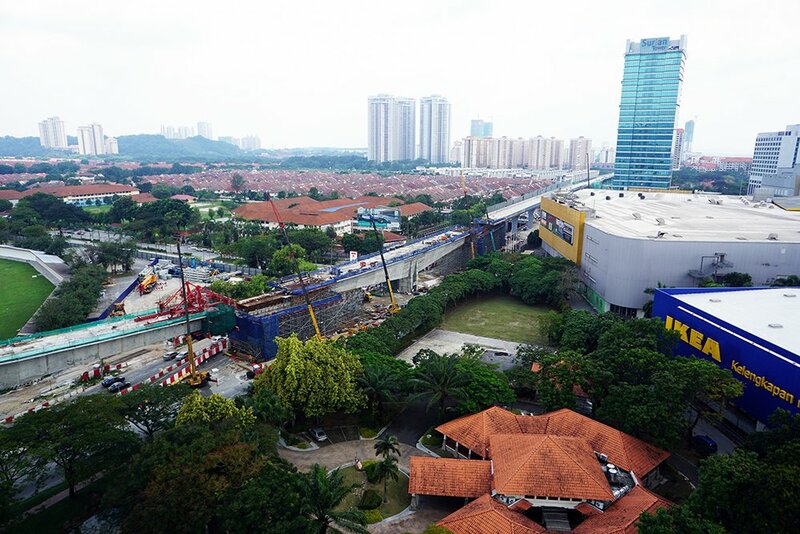 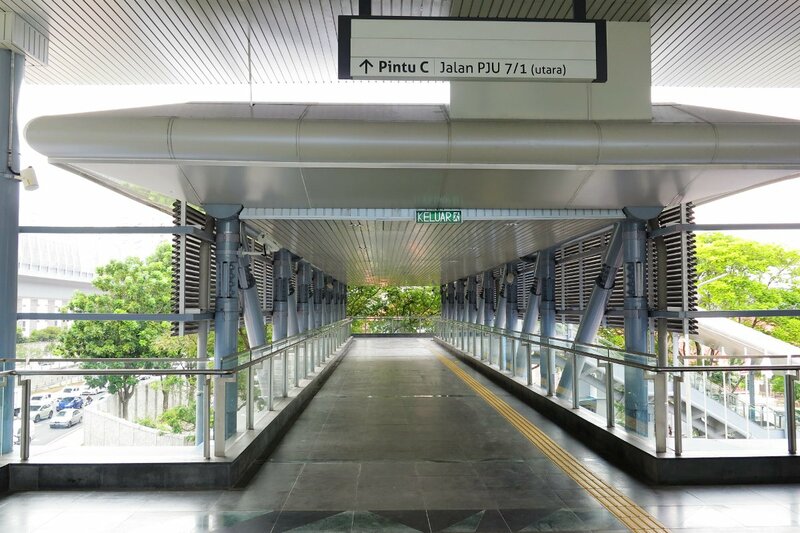 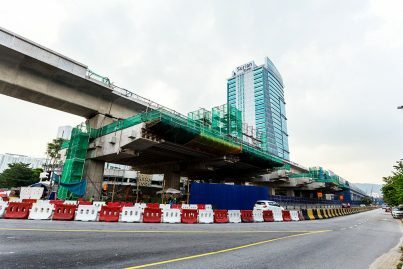 The station is located above Persiaran Surian, with its supporting columns sited between the Persiaran Surian underpass and the at-grade Petaling Jaya-bound lanes of the road. 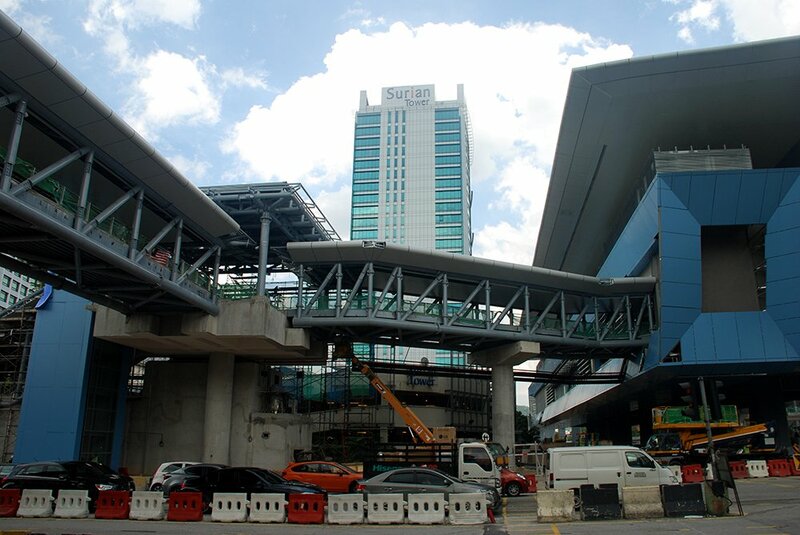 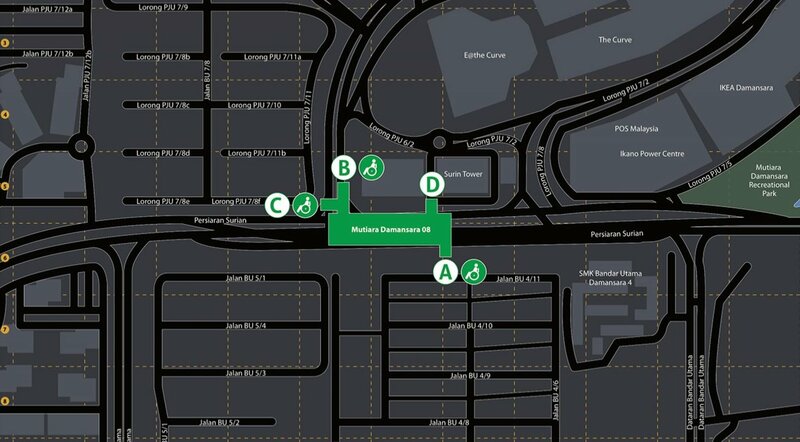 Feeder bus stops, taxi lay-bys and drop-off areas are located at Entrances A, B, and C.
The pedestrian link bridge from Entrance D to Surian Tower provides direct access to various buildings in the Mutiara Damansara commercial area via various other link bridges to eCurve, The Royale Chulan Hotel, The Curve, IPC and Tesco Mutiara Damansara hypermarket. 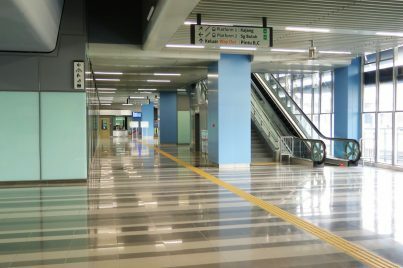 Concourse (L1) Faregates to Paid Area, Escalators to Platforms, Ticketing Machines, Customer Service Office, Station Control, Shops, Entrance A lift and stairs to Ground Level Persiaran Surian (Sungai Buloh-bound), Entrance B and C escalators, lifts and stairs from Ground Level Jalan PJU 7/1, Entrance D to elevated pedestrian walkway to Surian Tower and other buildings. 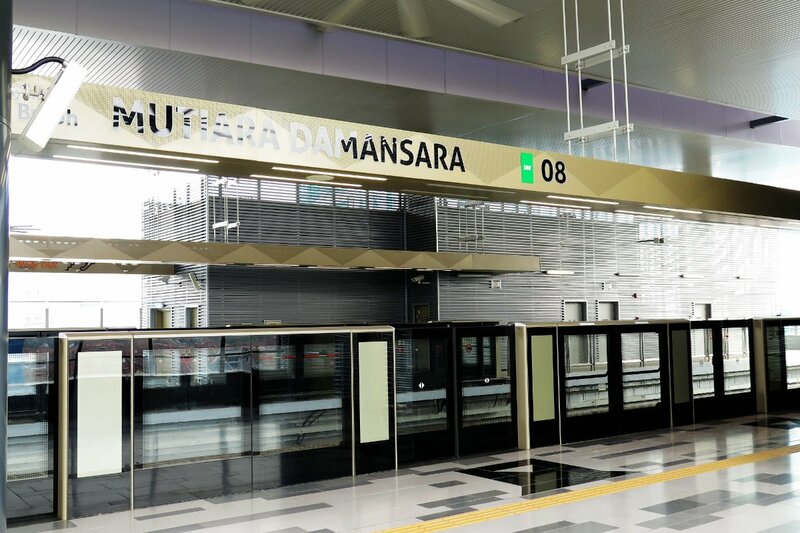 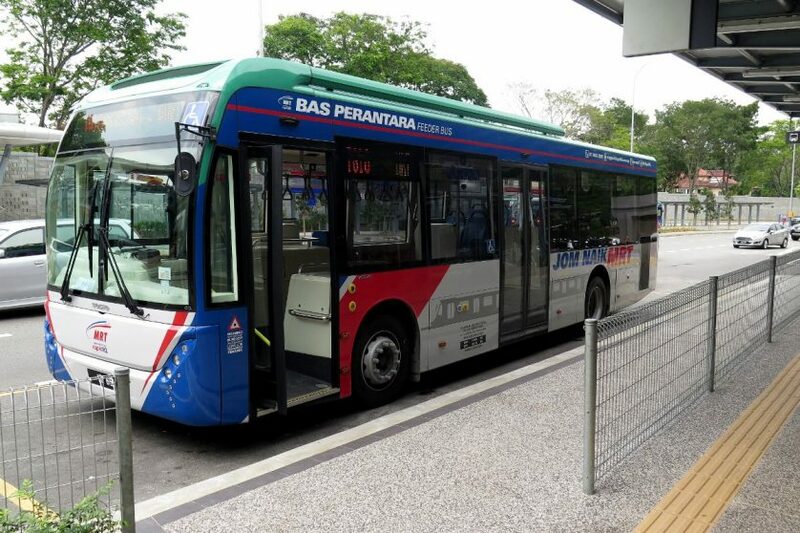 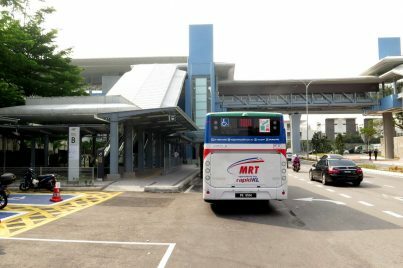 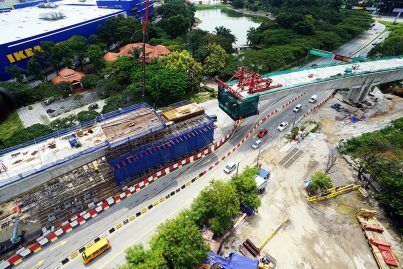 With the opening of the MRT Sungai Buloh-Kajang Line, feeder buses also began operating linking the station with several housing areas in Mutiara Damansara, Damansara Perdana, Bandar Utama and Bukit Lanjan. 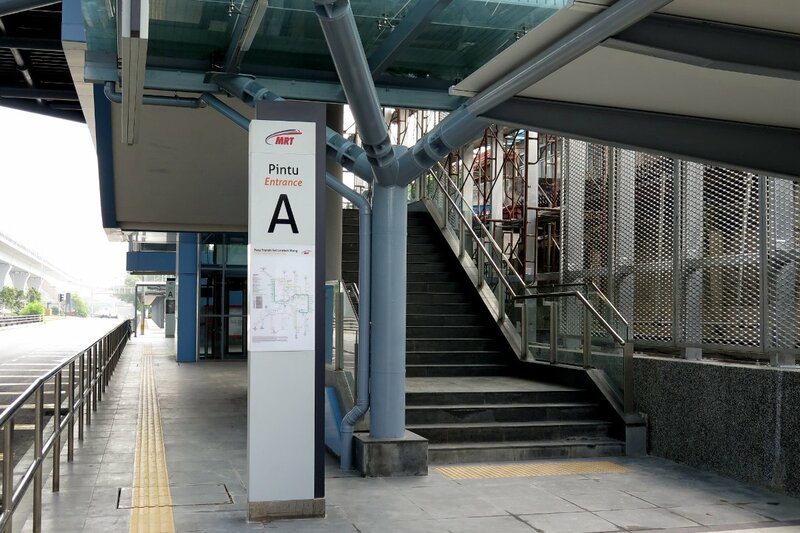 The feeder buses operate from the station’s feeder bus stops adjacent to the station, accessed via Entrance B and Entrance C of the station.